Christopher L. Bennett is finally back with another Department of Temporal Investigations story. This time it is a novella instead of a novel like his previous two outings. I used to write regular updates and reviews of Star Trek novels, but frankly reading all the material would be a full-time job. That, along with the end of the Starfleet Academy series has meant I haven’t done a review in over a year. The Collectors isn’t the first novella I have reviewed set in the Star Trek universe. It is certainly better than Star Trek: The Typhon Pact: The Struggle Within also by Christopher L. Bennett. I didn’t like that story much, though I have considered I may have been unduly harsh in my review. However, that story was set within the Typhon Pact series, which was loved and derided by fans in an almost equal fashion. Personally I merely found the series to be overwhelming. It cut across multiple franchises (as I wanted it to), but I couldn’t make sense of any particular direction which I found frustrating. 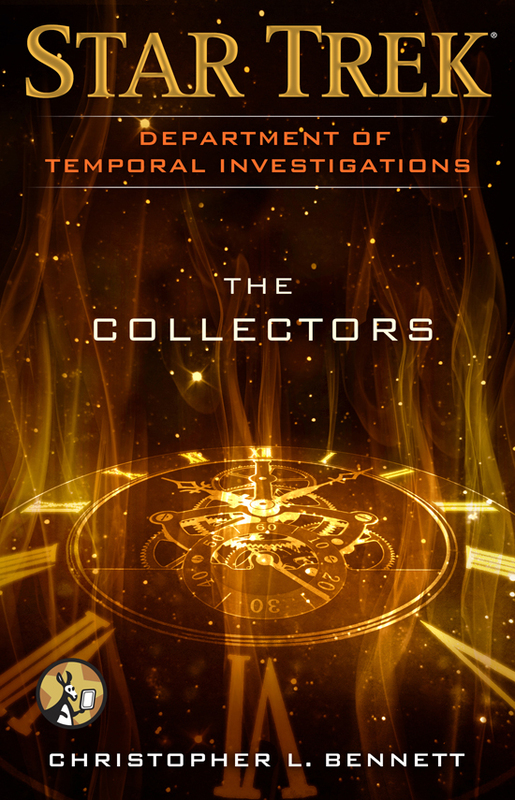 With Star Trek: Department of Temporal Investigations – The Collectors (full title) writer Christopher L. Bennett returns to the novel series he created and which has been admired by countless Star Trek fans. Below you can read semi-spoiler free introduction to the story. With Star Trek: DTI – The Collectors writer Christopher L Bennett continues his efforts to expand the Star Trek universe with thought-provoking stories using time-travel. DTI has been well-established and Bennett makes good use of its back story and that of the larger Star Trek-verse. That said, The Collectors does not manage to deliver the same intricate time-travel twists that gave you headaches as with the previous two novels. Instead it places more focus on the personal considerations of the lead characters. It has been a treat the read about two of my favorite Star Trek characters again. 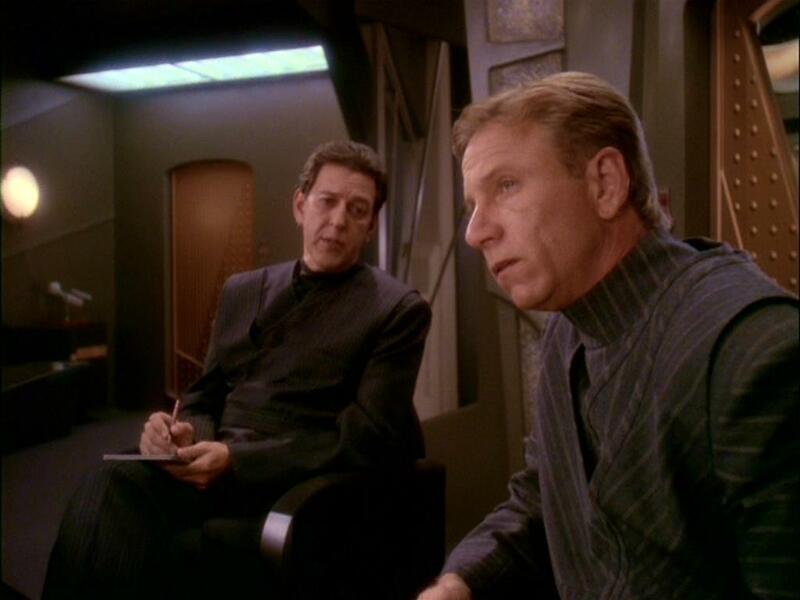 The stoic Dulmur and the more actionable Luclsy have been a fan favorite ever since their appearance in fifth season episode of DS9 ‘Trials and Tribble-lations”. Regardless of the rules established on time-travel both Lucsly and Dulmur consider the temptations that time-travel brings at least once, but both are confronted by others who have made such a choice and altered time for the worse. Despite such personal considerations Bennett does sacrifice exposition for brevity. That can be expected from a novella just 116 pages long. That does mean that neither Lucsly, Dulmur or agent Noi receive much character development. Bennett is careful to make this story stand alone from the other DTI novels and this necessitates recapping some of the previous events. This further intrudes on character development. In true novella style the story rushes forwards with immense speed, only leaving an odd chapter here and there for Lucsly and Dulmur to let events sink in. Score; 8.3 / 10. A good DTI novella by Christopher L. Bennett which only makes me want a full DTI novel even more. Bravo! This was Star Trek DTI The Collectors Review. I hope you enjoyed the review. Don’t forget you can pick this e-book up for just 2.66 euro’s or 2.99 dollar at Amazon. I consider it a bargain. If you think about buying some books to read during the holiday season consider the other DTI novels: Watching the Clock and Forgotten History. Previous story Continuum renewed for shortened 4th season!